Choosing the right restaurant, cafe or hotel is often tough. Build trust with high-quality Google 360 Virtual Tours that let people experience your business locations before they arrive. These immersive, virtual experiences inspire greater confidence among prospective guests and patrons. New potential customers will now be able to walk through your door digitally, experiencing your business environment in full stunning 360 virtual reality 24 hours a day, 7 days a week. Visitors who view a listing with a Google 360 virtual tour are twice as likely to book a reservation or choose a venue. With 18-34 year-olds in particular, prospects are 130% more likely based on Google 360 virtual tours. Need a Google 360 Virtual Tour? Our photographers undergo rigorous training and requirements in order to become Google Certified. We use best practices to create Google 360 tours that represent your business to new potential customers as if they were actually there. Our photographers have taken 360 photos all over the world from places like Mt Everest. As a Google Trusted agency, we will easily create and publish Google 360 Virtual Tours for your businesses. Our Google 360 virtual tours are created and conducted only by a Google certified photographer who is trained, certified and endorsed by Google. Price includes one virtual tour per Google Business Listing, tours can be uploaded to other listings with the same address for and additional $100. *Receive 10% off for each surrounding neighbor that is scheduled for the same day. Each surrounding neighbor shot on the same day will also receive a 10% discount. Initial price includes up to 10 miles of travel. There is a $50 charge per additional 10 miles of travel. 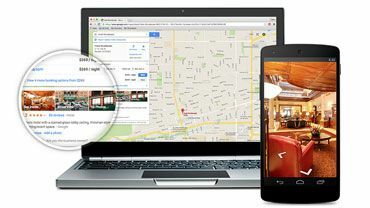 There is a $100 charge to add your virtual tour to each additional Google Business Listing. Embeddable code is available free of charge upon request. The one time charge is for the single day Fluid5Design LLC shoots and publishes content to Google Maps, Google My Business, Google Street View, etc. Google hosts all content including photos, descriptions, and tours on their servers and are solely responsible for the maintenance, performance, and lifespan of all services and files. Fluid5Design LLC, their employees, and their contractors will not be held responsible in any way for the weather, appearance, staging, and/or presentation of your business. Any reshoots will incur an additional 50% charge of the original price paid. 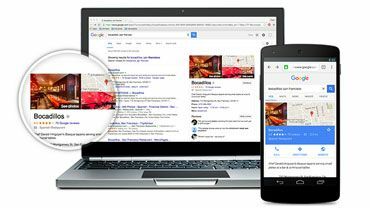 Google Business listings are the sole responsibility of the owner, if for whatever reason, Google removes your business listing, your virtual tour will be removed as well. Business owners will hold harmless Fluid5Design LLC, their employees, and their contractors from any claims and/or litigation arising out of Fluid5Design's performance of the work of providing these services. Fluid5Design LLC retains all rights and copyrights to each and every photosphere taken. Rights can be purchased and are fully transferable upon request. with Fluid5Design & Google 360 virtual tours.